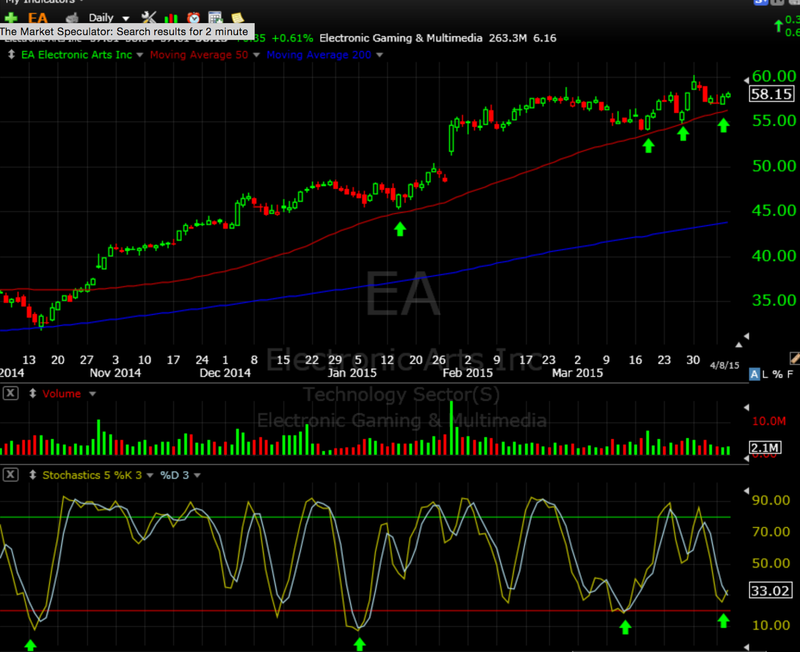 Chart of the day is EA: Keep it simple stupid! Sometimes swing trading is easier than we make it. In the trading game it literally pays to keep it simple. Our stock of the day, EA is a great example of the KISS method. When do you buy EA? That’s easy. When it pulls back to the 50 dma or when stochastics near oversold levels. It’s a slam dunk trade that would have given us 7 profitable trades over the past year. For entry I will wait for a slight pullback from this level to attempt to get better value. I got to learn good updates from trading point of view here. For better returns learning is must. Traders can learn quick market overview with the help of daily reports by epic research as well.